Your vote: Recommend Game 4? Your vote: Recommend Game 5? Hey Hyral, it is entirely possible to make the exact same request without sounding like... an incredibly impatient person. Learning how to make requests rather than demands will go a long way on TL and in life in general. Can someone fix this goddamn banner? It's not Season 11, it's 2015 SSL Season 2 or SSL11. 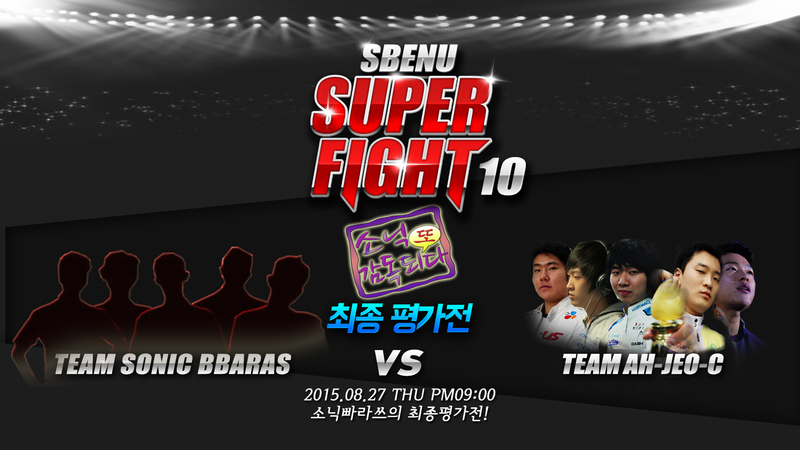 It's the SBENU Starleague now too btw, banner-makers get your acts together. What does "11" stand for in SSL11? 1. See the latest VOD on YouTube of said tourney and scroll to the banner logo, now make sure you have the highest resolution selected. @1:30 you press pause, and have the quality set to 720p, the highest quality in this case. 3. Now fullscreen it, hide your mouse cursor and press your 'Prt Scr' key, (right next to your F12 key). 4. Then go to imgur.com and click 'upload images' and hit Ctrl+V. 6. Check the Edit box and click 'Start Upload'. 8. Then hit 'Apply' and see the preview result of your selection. If you're happy you click 'Save', if you're not happy, click 'Reset' and repeat from step 7 until you are happy. 9. Once you're happy and saved your edited image, aka banner, click the copy icon under 'BBCode' and Ctrl+V, paste, your copied image link at the top of your post. Poll: Recommend sSak vs Movie? Your vote: Recommend sSak vs Movie? Poll: Recommend HiyA vs EffOrt? Your vote: Recommend HiyA vs EffOrt? Your vote: Recommend Winner's Match? Your vote: Recommend Loser's Match? Your vote: Recommend Final Match? Thanks for the link stratos. When are people switching over to youtube gaming? No official You-tube VOD's yet and I have to go to school soon. So if people want to try this Afreeca VOD or alternativelly Sayle, BisuDagger and xkcd in English. That's all we have for now. I'm sure Sonic and OGN will upload whilst I am at school. Poll: Recommend EffOrt vs Mong: Game 1? Your vote: Recommend EffOrt vs Mong: Game 1? Poll: Recommend EffOrt vs Mong: Game 2? Your vote: Recommend EffOrt vs Mong: Game 2? Poll: Recommend EffOrt vs Mong: Game 3? Your vote: Recommend EffOrt vs Mong: Game 3? Poll: Recommend EffOrt vs Mong: Game 4? Your vote: Recommend EffOrt vs Mong: Game 4? Poll: Recommend EffOrt vs Mong: Game 5? Your vote: Recommend EffOrt vs Mong: Game 5? Gah. Any idea why Sonic's videos are sometimes not in 720p? Poll: Recommend ZvZ Game 1? Your vote: Recommend ZvZ Game 1? Poll: Recommend ZvZ Game 2? Your vote: Recommend ZvZ Game 2? Poll: Recommend ZvZ Game 3? Your vote: Recommend ZvZ Game 3? Poll: Recommend ZvZ Game 4? Your vote: Recommend ZvZ Game 4? Poll: Recommend ZvZ Game 5? Your vote: Recommend ZvZ Game 5? Poll: Recommend PvP Game 1? Your vote: Recommend PvP Game 1? Poll: Recommend PvP Game 2? Your vote: Recommend PvP Game 2? Poll: Recommend PvP Game 3? Your vote: Recommend PvP Game 3? Poll: Recommend PvP Game 4? Your vote: Recommend PvP Game 4? Poll: Recommend PvP Game 5? Your vote: Recommend PvP Game 5? Poll: Recommend TvT Game 1? Your vote: Recommend TvT Game 1? Poll: Recommend TvT Game 2? Your vote: Recommend TvT Game 2? Poll: Recommend TvT Game 3? Your vote: Recommend TvT Game 3? Poll: Recommend TvT Game 4? Your vote: Recommend TvT Game 4? Poll: Recommend TvT Game 5? Your vote: Recommend TvT Game 5? We had a lot of problems uploading these VOD's and apologise for how long they took.